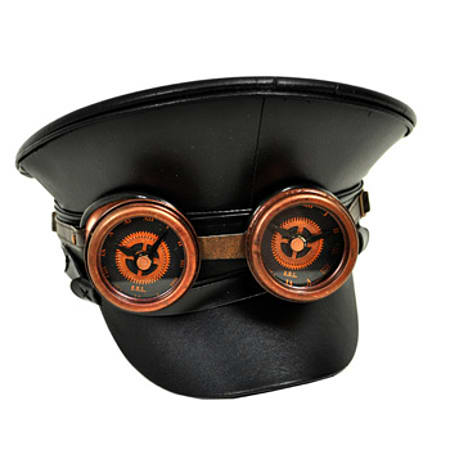 Wearing this insane S.D.L hat with goggles will have such an impact on your look that you are certain to get noticed everywhere you go. 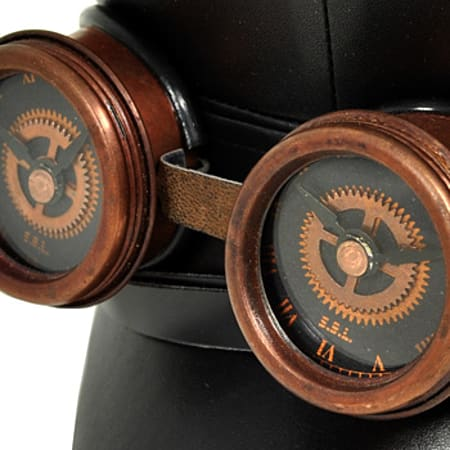 Designed to give you a completely alternative look, this flat top hat has rustic goggles on the top with a weird take on a clock in each lense that will effortlessly diversify your look every day. 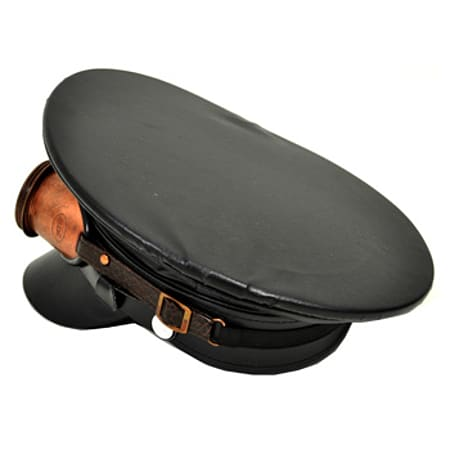 With a smooth finish, you can notice instantly that this S.D.L hat with goggles has been made with the highest quality to give you a reliable accessory you can wear every day.Made with hardwearing materials, this S.D.L hat with goggles has been made so you can depend on it to not lose that comfortable shape and leatherette look no matter how often you wear it. Its creative image will punk up any outfit, so you can wear it with an array of styles and find that perfect gothic image. Designed to fit perfectly on your head, this S.D.L hat with goggles has been created with a little bit of stretch so you can feel comfy every time you wear it.Giving you everything you want from a high quality accessory, this S.D.L hat with goggles has the style, comfort and diversity that will keep your image on edge and you feeling relaxed every day. Known for their eccentric fashion, S.D.L have never failed to bring insane style forward and this awesome hat isn't any different, so grab one today before they're all gone.